Whether you’re the custodian of a cabinet of glittering sports trophies, keep an award or two on display upon a mantelpiece at home, or have your school sports day medals tucked away in a drawer, caring for each piece properly is a must. Awards and medals can be made from an array of different materials, so they shouldn’t all be treated in the same way. 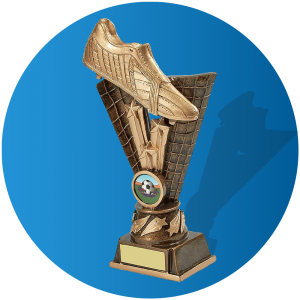 We’ve put together this handy trophy care guide to help you to keep your prized possessions in pristine condition. HOW TO GET SPARKLING SILVERWARE? If you’re the proud owner of a silver or silver-plated cup or trophy, you’re sure to want to keep it on display. Exposure to air and being kept in humid conditions can cause silver to tarnish faster though, so it’s best to place your award in a glass cabinet. This also means that it will be less likely to come into contact with other harmful substances, such as smoke or water, or become coated with dust. Placing a little desiccated silica gel in the cabinet will help to prevent silver-damaging moisture from collecting there too. If you need to store a silver award away in a cupboard, garage or attic, for example, you can protect it by wrapping it in tissue paper and sealing it within a bag made from polythene. Take care not to use anything that could react with the metal and damage it, such as elastic bands or newspaper. 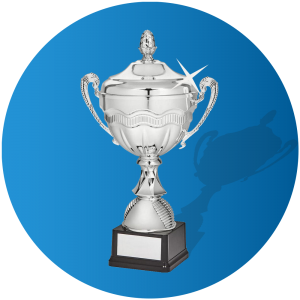 If you spot any fingerprints or greasy marks on your trophy, remove them straightaway, using a polishing cloth. You should also polish your award thoroughly about once a month, moving the cloth across the silver in straight lines, in a single direction. Don’t use polishing cream unless the metal is already tarnished, and make sure that any you do apply is new and specifically designed for use on silver. Avoid wearing latex gloves when touching your award, and never use any abrasive brush, cloth or cleaning product on it. HOW TO KEEP PEWTER PRODUCTS IN PEAK CONDITION? Pewter is superbly practical and needs very little care. Unlike silver, it doesn’t react with air or become tarnished, although it can become marked or grubby over time. 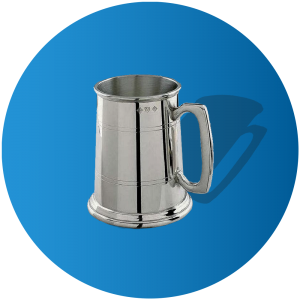 Cleaning it is simple, though – just wash your pewter trophy or tankard in warm water and dry it thoroughly using a soft cloth. If the pewter is really dirty, you can polish it before you wash it. Just make sure you use a non-abrasive product that’s specifically designed for use on metal, and move the cloth in one direction, in straight lines. A word of warning about cleaning items made from pewter, however – never try to take a shortcut and pop them in the dishwasher, as subjecting the alloy to high levels of heat can cause it to distort. 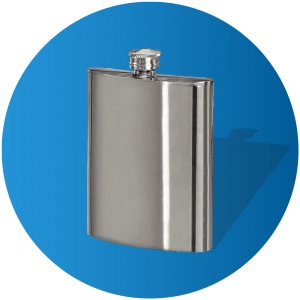 Our product range also includes some striking pewter hip flasks. Designed to hold alcoholic drinks, they need some extra attention if you want to ensure they stand the test of time. Firstly, always rinse your hip flask out with water before placing alcohol in it and empty it immediately after use. Don’t keep alcohol in it for more than three days and never fill it with anything acidic, such as fruit juices or cordials. Stainless steel is tougher than silver, so awards and gifts made from it are usually extremely easy to clean. If you own a stainless steel cup, salver or tankard, or even have a plaque made from the metal on an award, giving it a quick wash with lukewarm, soapy water and a soft cloth, then rinsing it with clear water, should do the trick. 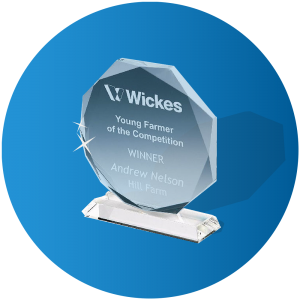 Plastic awards are designed to be practical and simple to look after, and we have some stylish-looking options in our online store. You can clean trophies made from plastic using just water and a soft cloth. Avoid using anything abrasive on them so they don’t become scratched. 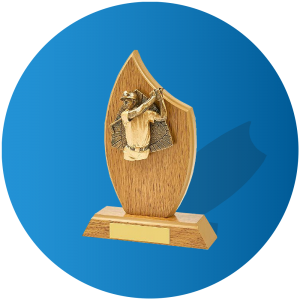 Resin trophies can look stunning and we have some beautifully designed ones in our online store. To clean them, just follow the same principles as you would if they were made of pewter, and wash them with warm, soapy water before drying them thoroughly. Eye-catching and practical, glass and crystal awards are extremely popular, and they are refreshingly simple to clean. Light marks can usually be shifted just by using soapy water and a soft cloth, while applying shop-bought glass cleaner can help you to tackle stubborn dirt and give your glass or crystal-ware a little extra sparkle. 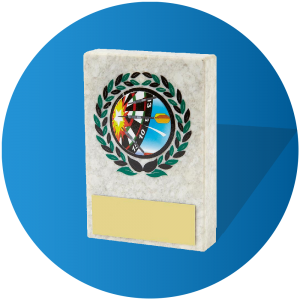 Awards crafted from marble are often elegantly designed and reassuringly sturdy, making them excellent options for tournament organisers looking for stylish prizes. The most important thing to remember about caring for marble is that it can stain – so if you spill something on your trophy, make sure you wipe it up straightaway. Never use abrasive cleaners on it and, if you need to wash it, use warm water and a soft cloth. You can also dust your marble award regularly, but refrain from using polishes or other generic cleaning products on it. All you really need to do to keep trophies made from wood in good order is to dust them regularly, but it’s also an excellent idea to polish them occasionally. 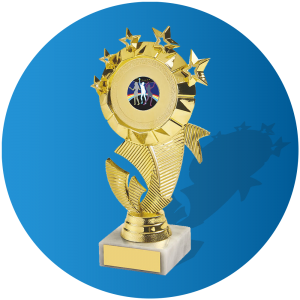 Just use a little furniture polish to give your award an appealing sheen, but make sure that you use a soft cloth when applying it. Just follow these top trophy care tips and you can make sure your awards look as immaculate as they did on the day you received them, no matter what they’re made from.